Edna Lee Daffron, age 94, of Flippin, Arkansas passed away Friday, February 8, 2019 in Flippin. Edna was born August 6, 1924 in Newton Flat (Bull Shoals) Arkansas. She was the youngest daughter of James Walter Johnson and Martha Ellen Ritchie. On August 31, 1964 she married Tobe Elliott Daffron. They raised two sons, Joe and Steve. Edna was a lifetime resident of the area and a member of First Baptist Church in Flippin. She could be found every Saturday in the office at the Mountain Home Livestock Auction. Throughout the week, she took pride in feeding the workers on the family's cattle ranch. Everyone was welcome at her table. She enjoyed cooking, sewing and crocheting. She is best remembered for her kind and gentle spirit. Mrs. Daffron is survived by her son Steve Daffron of Gassville, Arkansas; grandchildren: Tammy Daffron, Amie Nicholson, Keith Daffron, Kevin Daffron and Kallie Copeland; great-grand children: Chandler and Jeremiah Nicholson, Kiley Wehmeyer, Maddie Hutcheson, Kirkland and Lily Daffron, Jace and Julie Copeland and Great-great granddaughter, Adeline Mae Nicholson. 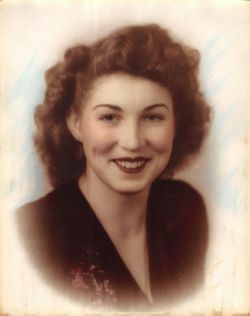 Edna was preceded in death by her husband Tobe; son, Joe Daffron; her parents, James and Martha and siblings: Don Johnson, James O. Johnson, Willard Johnson and Luna Cornell. A Graveside service will be held at 1:00 pm Tuesday, February 12, 2019 at Flippin Cemetery in Flippin, Arkansas, with Bro. Ronnie Thomas officiating.